Soorma actor Sandeep Singh says giving his best and winning for India is his ultimate aim! Sandeep Singh on whose life upcoming film 'Soorma' is based feels that giving his best and winning for his country has always been his no 1 aim in life. 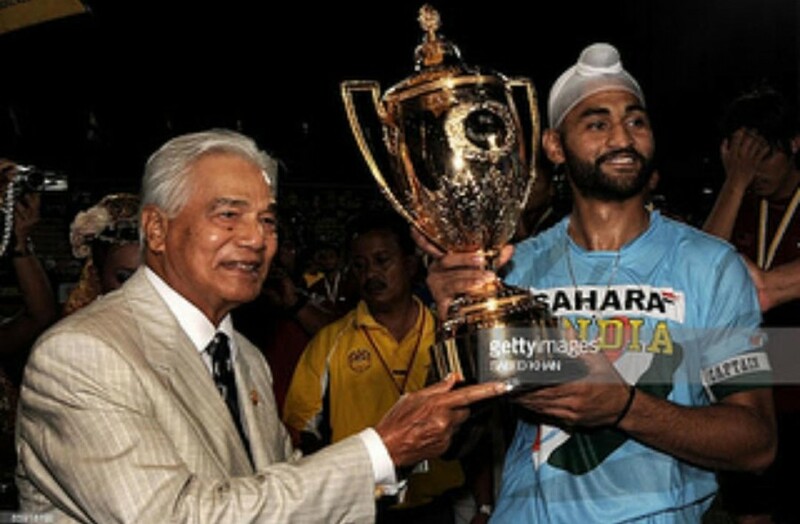 Sandeep Singh aka Flicker Singh has shared a throwback moment from his life when India had won Azlan Shah cup after 13 long years On 12th April 2009. It's indeed a very special memory for Sandeep Singh as he was the captain of the team as well as the highest goal scorer when India had won Azlan Shah Cup. Recently Sandeep Singh has added another feather to his cap as he has taken to commentators box for the first time at the Commonwealth Games held in Australia. Sandeep Singh is a legendary Hockey player and the ex-Captain of the Indian National Hockey Team and he has been hailed as one of the world' most dangerous drag-flickers of all time with drag speeds of over 145 km/hr which led to his nickname, 'Flicker Singh'. Sandeep has brought glory to the nation by representing the country at 2012's Olympics London where he was the highest goal scorer in the qualifiers. His inspiring story has had the makers keen to bring his life on the silver screen. Diljit Dosanjh and Taapsee Pannu will be seen playing lead roles in Soorma. Soorma is produced by Sony Pictures Networks Productions, Chitrangda Singh and Deepak Singh.